Posted by Brittany Bosher on Wednesday, April 19th, 2017 at 2:19pm. Calling all Florida produce lovers! Be sure to attend a festival dedicated to one of Florida’s most perfect crops, sweet corn. 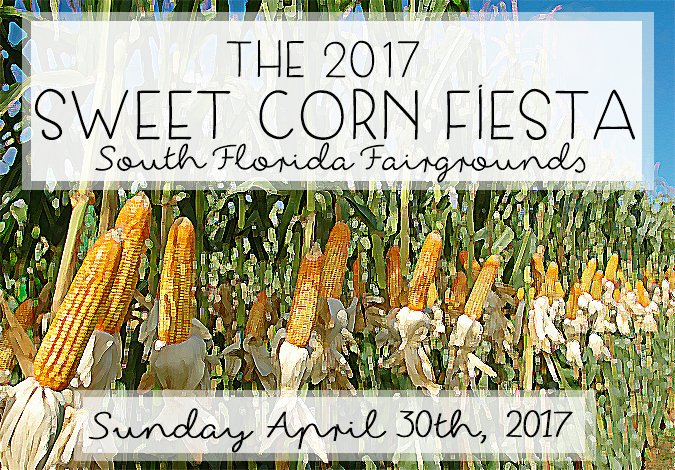 Next Sunday, April 30th, is the Annual Sweet Corn Fiesta at the South Florida Fairgrounds. The weather will be and the sun will be shining as you and your family and friends can enjoy all you can eat fresh summer corn and fun events all day long. Join us for the Sweet Corn Fiesta - Sunday, April 30, 2017 from 11am to 5pm at Yesteryear Village. For more information please visit www.sweetcornfiesta.com.